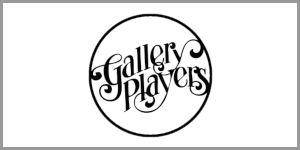 The Gallery Players produces 8 shows every season, so there are many opportunities for actors, directors, designers, production managers, musicians, and stage managers. There are even more opportunities for volunteers and audience members! Keep your eye on this page for upcoming opportunities, including auditions, special performances, and open positions for future shows. We also advertise opportunities in Back Stage and online at Playbill.com. For more information, contact the Gallery Players via the contact page. Be a part of The Gallery Players by volunteering! With 8 productions every season, there’s a lot that you can help with, and there are some great benefits. Click the “Volunteer at The Gallery Players” headline above for more information.